It’s not often that I get this excited over a free browser extension, but this is really really cool. As a blogger, if you are anything like me, you spend a lot of time wading through Google’s image search looking for pictures for posts. This process can be slow and boring. However, PicLens changes the results into a pretty cool, and usable slideshow. 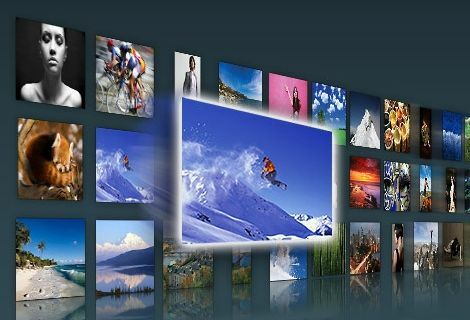 PicLens instantly transforms your browser into a full-screen, 3D experience for viewing images on the web. Photos will come to life via a cinematic presentation that goes well beyond the confines of the traditional browser window. With PicLens, browsing and viewing images on the web will never be the same again. What I like the most about PicLens is that when I do an image search on say, “Anime Figures,” it may take you clicking NEXT a few times in order to find what you are looking for. Or depending on which service you are using, you may have to scroll through page after page of results. PicLens changes all of that. It arranges the image result as 3D wall of images with a simple horizontal scroll bar at the bottom. It’s really simple to just hold the scroll bar to the right or left to continuously see your image results. You could essentially have a wall of 10 pictures, or a wall of 10,000 pictures. PicLens works on all of the major browsers. When you go to the site, you will be redirected, based on the browser you are using, to the download page. I recommend checking out the video, but honestly it doesn’t do it justice till you actually see it for yourself. By default, PicLens works with Flickr, Photobucket, DeviantART, Facebook, Myspace, Bebo, Friendster, Google Images, and many other sites. If you do decide to try it out for image searching, which I highly recommend, here’s a quick tip. If you find an image that you want, in the upper left hand corner of your screen, next to the icon of the site you are searching, theres a little arrow. Click that to be taken to the site with the image. I had to find that out by clicking on everything. I almost thought PicLens was a waste of time if I can’t go back to the site where the image was originally! Thankfully that wasn’t the case. Enjoy. Thanks Maki for posting the PicLens link on Twitter.